We have a month full of romance in store at Old Hollywood Films. 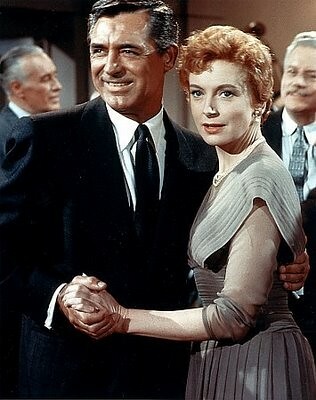 - Our movie of the month is An Affair to Remember (1957) starring Cary Grant and Deborah Kerr. We'll be looking at all aspects of this classic romance, including the original 1939 film, Love Affair, starring Charles Boyer and Irene Dunne, the use of the Empire State Building in films and the onscreen partnership of Grant and Kerr. -Our star of the month is Cary Grant. We'll be looking at all aspects of his career including two of his films made in 1939, Only Angels Have Wings and Gunga Din. -We'll be featuring love songs from old Hollywood films. Here's our first entry, On the Street Where You Live. -We'll continue our Top 100 Westerns series. Next up is The Sea of Grass (1947) starring Spencer Tracy and Katharine Hepburn. You can also keep up with us on social media: Follow us on Tumblr or Pinterest or like us on Facebook. Follow us on Twitter @oldhollywood21.